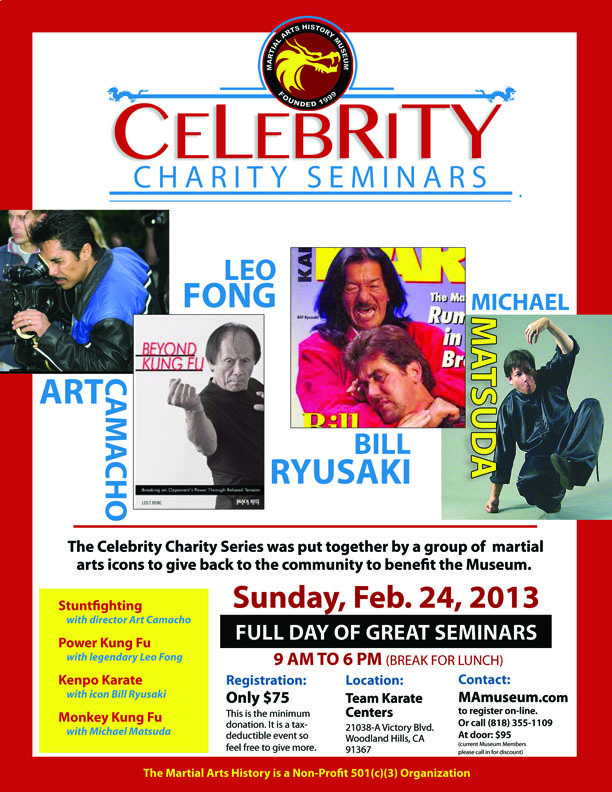 The Martial Arts History Museum is proud to present the CELEBRITY CHARITY SEMINARS! This is a once-in-a-lifetime opportunity to train with some of the great martial arts icons. We will be launching more of these in the upcoming months.